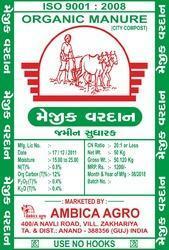 We are the leading supplier of VARDAN Organic Manure made available to our clients at competitive prices. Oil Cakes: The Richest source of plant nutrient of all organic manure. Compost is an organic manure artificially prepared from plant residues and animal waste products. 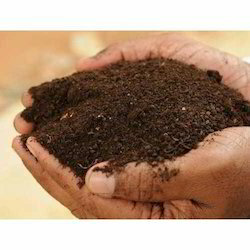 The process of making compost is known as composting. It is largely a biological process in which aerobic (which require air or oxygen for their development) and anaerobic (which function in absence of air or free oxygen) microorganisms decompose organic matter and lower the carbon-nitrogen ratio of the refuse. Compost is prepared from waste vegetables and other refuse mixed with cow-dung and urine and also from town waste and night-soil. The compost becomes ready in about three to four months without any further attention. Composts are two types and they differ in nature and composition. Rural/Village Compost: This type of compost is prepared from farm waste products, e.g. straws, crop stubbles, crop residues such as sugarcane trash, groundnut husks, and leaves, cotton stalks, etc. Weeds, waste folder, urine soaked earth, litter from cowshed and hedge clippings. This type of compost contains 0.4-0.8 per cent Nitrogen (N), 0.3-0.6 percent PO5 and 0.7-1.0 per cent K2O. Urban Compost or Town Compost: This type of compost is prepared from town waste and night soil. This type of compost contains 1.0-2.0 per cent nitrogen, 1.0 per cent nitrogen, 1.0 per cent P2O5 and 1.5 per cent K2O. Farm yard manure is a mixture of the solid and liquid excreta of farm animals along with litter (i.e., the materials used for bedding purposes of cattle) and left over material from roughages or fodder fed to the cattle. The chemical composition of FYM is nitrogen—0.5%, phosphate – 0.2 %, potassium – 0.5 % and water 76 %. Oil cakes are the byproducts of oil seeds crops. Oil cakes are the important and quick acting organic nitrogenous manure. It also contains the small amount of phosphorous and potassium. Edible Oil Cakes: This type of oil cake is used for feeding cattle in the form of concentrations, e.g. mustard oil cakes, groundnut cake, sesame or til cake, linseed cake, coconut cake, etc. Non-edible oil cakes: This type of oil cake is not suitable for feeding to cattle and mainly used for manuring crops, e.g., castor cake, neem cake, etc. The non-edible oil cakes contain a harmful toxic substance, which makes them unsuitable for feeding to cattle. But these are a good source of nitrogenous manure. The amount of nitrogen varies with the type of oil cake. It ranges from 2.5 per cent in manhua cake to 7.9 per cent in decorticate safflower cake. In addition to nitrogen, all oil cakes contain small quantities of phosphoric acid (0.8 to 2.9 per cent) and potash (1.1 to 2.2 per cent). Oil cakes are insoluble in water. But their nitrogen becomes quickly available in about a week or ten days after application to crops.